Introducing new member to KHD viwers, ARCHLAB - Architects & Engineers from Kozhikode, Kerala. Presenting 2209 Square Feet (205 Square Meter) (245 Square yards) with 4 bedrooms. Ground floor area : 1286 Sq.Ft. First floor area : 923 Sq.Ft. Total area : 2209 Sq.Ft. 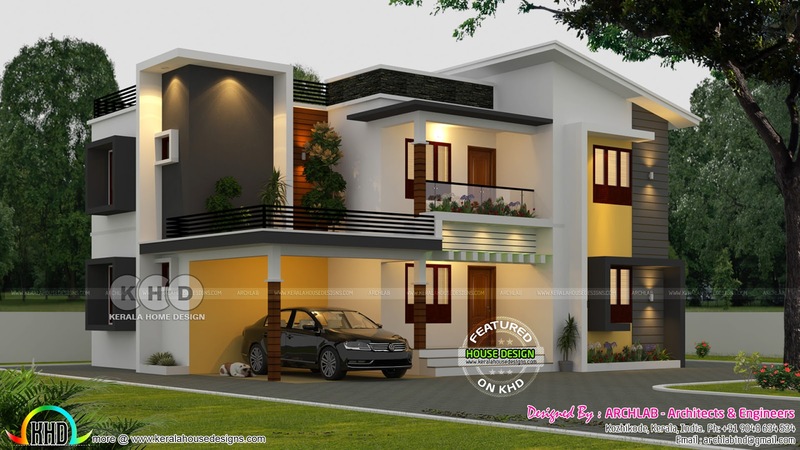 0 comments on "Archlab Architects presents 4 bedroom 2209 sq-ft home"